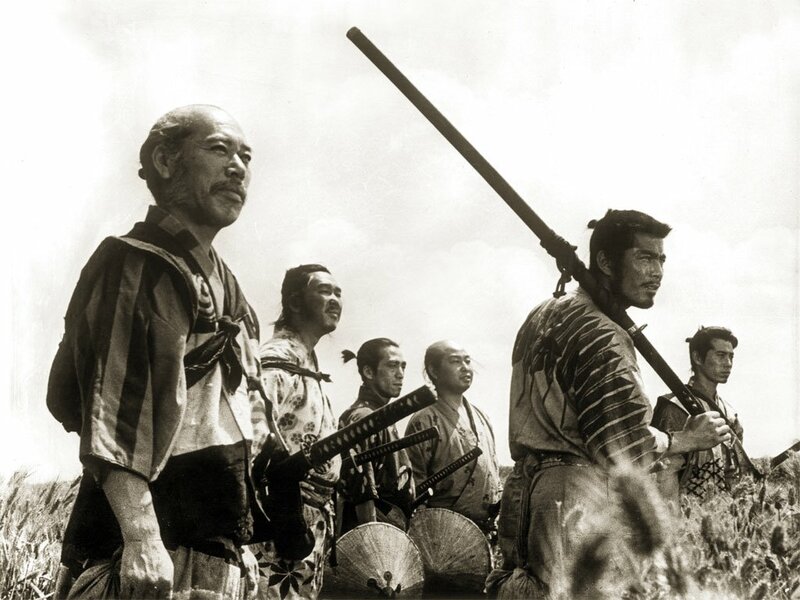 Over the past few busy days, I've been intermittently watching Seven Samurai, in small sections at a time, after hearing of the influence Akira Kurosawa had on the Star Wars films. Only just now coming to the end of the three and a half hours, stringing the story together from scattered memories of previous moments, I'm positive that another viewing in its entirety is required, uninterrupted, to grasp even half of its supposed significance. A surprising number of subsequent films seem to have had much inspiration drawn from Seven Samurai. One I should have picked up on is Disney's A Bug's Life, which follows pretty much the exact storyline... but with bugs. A truly universal story will cross all social and cultural borders and stretch its influence forward in time using any method or medium it can find. More to come upon second viewing; lines of influence reinforced. Tis a true classic. The storyline can be found in so many other recognisable places. One particularly memorable movie springs to mind for me....The Three Amigos, oi!